Illuminated by the garish neon lights of tacky mobile phone shops and empty, old man bars, Bar Cañete’s gilded façade glows like an apparition. But as you step inside it feels like traveling through time to Spain’s glory days when everyone had oodles of cash to spend on fine food and wine. White-coated waiters waltz like nimble Navy officers between the main dining room and the long, narrow bar, where debonair diners perch on leather stools and leer at chefs flinging blue-flamed pans around the open kitchen. 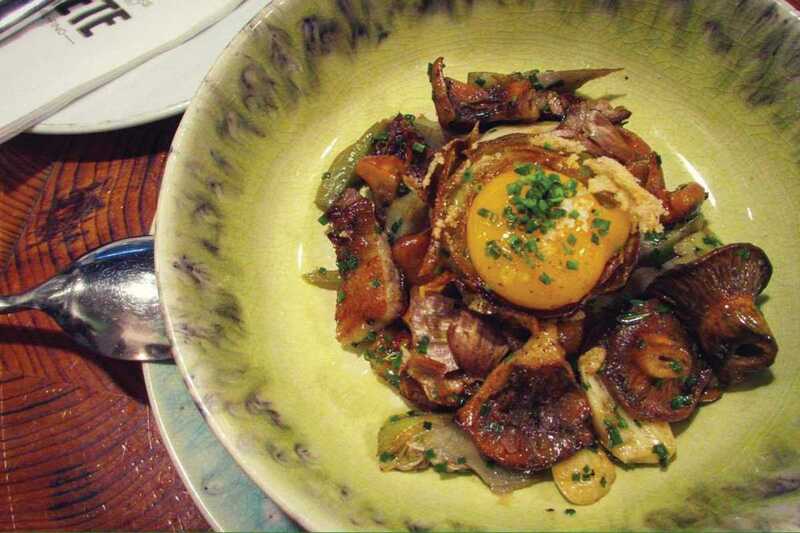 The focus is on classic Catalan dishes spruced up with a little creative pizzazz and poetic license. Try classic croquettes enhanced with tender lobster and other “secret ingredients,” or wild tuna tartare with Mascarpone and wild trout caviar. Meat and fish dishes (the sea bass is divine) are cooked simply but perfectly, and the three-course menú del día (€16) offers good value for money. An impressive wine menu and friendly service seal the deal.